make it, but we certainly hope you will be able to join us next time. 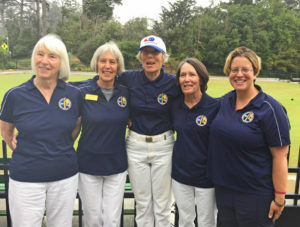 Fourteen members from the Berkeley Lawn Bowling Club participated in Saturday’s PIMD Women’s and Men’s Fives tournaments at San Francisco Lawn Bowling Club. It was a very good day for our club! 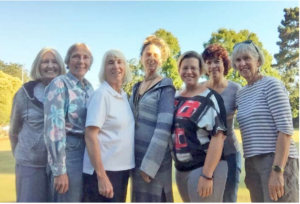 On the Women’s green, our very first ALL-Berkeley Women’s Fives team (Cathy, Leslie, Annie, Sarah and Giulia) won 1st place! Just as delightful, over on the Men’s greens, Frankie’s team also won 1st place! To sweeten the day’s results: Our all-Berkeley Men’s team (Bob, Cris, Jerry, John and Shawn) won 2nd place! Also on the green and bowling well for their teams were our own Laile, Millard and Mo. On Saturday, November 8, the Palo Alto Lawn Bowling Club hosted the Bay Area’s final bowling event of the year. 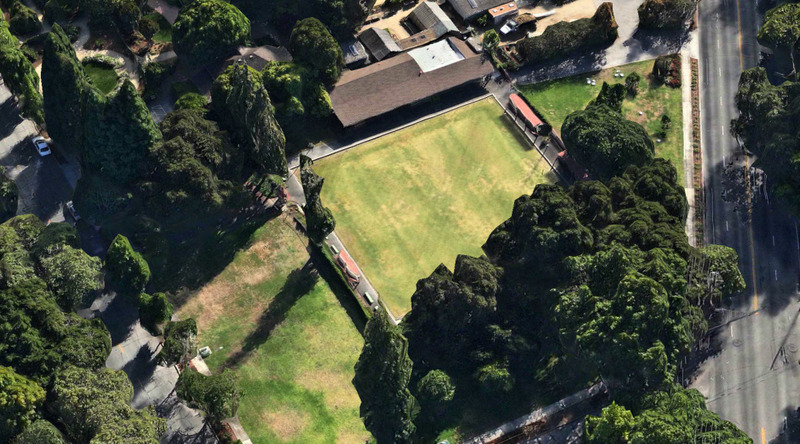 The Ed Arnold Invitational, named for a generous and hard-working past president of the club, was played by fourteen teams of three – that’s 42 bowlers on seven rinks. Each of the 42 entrants played skip, vice, and lead, in rotation, in each of three 12-end games. Teams comprised two men and one woman each, and included representatives from most of the Bay Area clubs. In an unusual twist, no team won all three of its games, though eight teams won two, so the winners were determined by the point differentials. Winning teams at the end of a vigorous day. 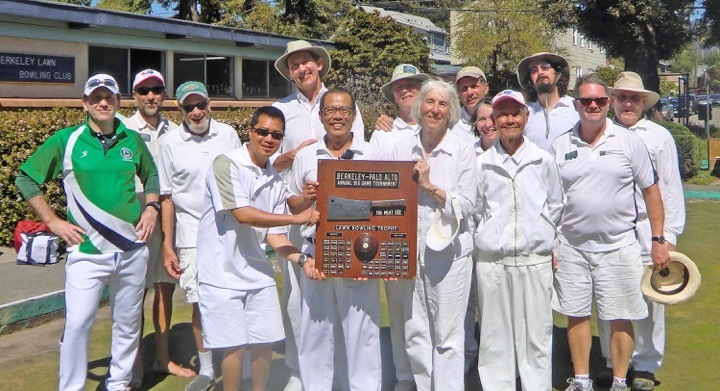 From left to right: Ann Brillhart, Shawn Roney, and Cris Benton (1st Place) then Wilfred Wong, Rob Hoey, and Cathy Dinnean (2nd Place). 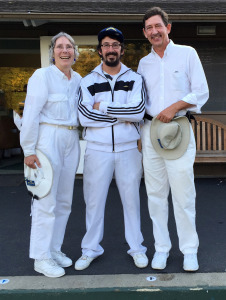 Berkeley was well-represented by two teams of full members, plus two of our dual members. The rotating format presents a unique challenge, and Berkeley proved up to the challenge! 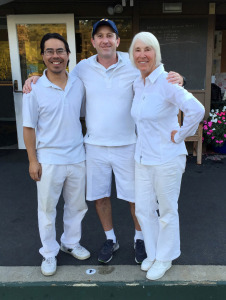 We proudly announce that First Place was won by Shawn Roney, Ann Brillhart, and Cris Benton, who had two game wins and 18 plus-points. Further, Second Place was taken by the Berkeley team of Rob Hoey, Cathy Dinnean, and Wilfred Wong, with two game wins and 10 plus-points. These wins conclude a fine bowling season for Berkeley, during which we were on the podium at many events throughout the year.